The Wild Hunt has a strong plot. A simple Witcher, a man who kill monsters for pay, scouring the world in a search for Ciri, his ward, in order to protect her from the Wild Hunt. The plot is enhanced by several factors. Gameplay choices having impactful consequences to the story, often much further along the time line. The story being cleverly set after the events in Andrzej Sapowski’s books so your decision as Geralt can effect the outcome of your own adventure without undermining the original books. The characters are realistic personalities for which you can’t help but end up feeling emotionally tied to. There’s nothing more bonding than a lads boozing session ending in cross dressing and prank calling randoms on facetime! Subtle winks to other well known tales also help make the story all the more enjoyable. One mission centres around a group of dwarves, one with hay fever, one with narcolepsy and another anger issues – Snow White springs to mind? However what cements the storyline as 5/5 for me is that world in which The Witcher 3 is set. It is a dark fantasy grounded and made realistic by the strong undercurrents of distrust and prejudices of people, lightened with injections of humour. The game play is good. Combat is enjoyable with the mechanics being intuitive. I also did not feel overly restricted by my characters level but felt I could stretch to more challenging opponents as long as I utilised sensible tactics depending on the foe I was facing. This game delivers what an RPG should, making what is effectively mundane fetching tasks an interesting, enjoyable and most importantly worthwhile experience for the player. What lets the Witcher 3 down in this category are simple things. The first point is lost to bugs. Your horse struggles to come when called and will randomly stop mid gallop, at times the swords fail to auto draw and you end up punching a werewolf with disastrous consequences. At other time I found myself having to patiently wait for NPC to “remember” that I could interact with them. The only other element I found awkward in this category was the inventory menu. Not only did I find it cluttered and visually awkward to look at, I also found scrolling through it a clunky experience. This is without a doubt a pretty game, a very pretty game. I must confess I did spend hours searching for ideal scenic backdrops and meditating till dusk just to watch the gorgeous sunset. Not only did I find the scenery and surrounding beautiful, I found the kill scene animations impressive and diverse. Being able to cut foes in half is one thing, but cutting many foes in half at varying angles is another! Littered with a wide variety of side quests such as accepting contracts on monsters and scouring the world for legendry Witcher armour. Also with secondary missions some of which relate to the main quest and some that are simply stand alone, there are plenty of things do to keep busy in game. None, I found though were as addictive as Gwent. A simple in game card game which has provided me hours worth of fun. I feel I definitely have the look of a Gwent aficionado about me! Games aren’t cheap but this one is worth every penny! This has definitely been the best game I have played so far this year. Although there were bugs with the gameplay I never found them to be inhibitive of me enjoying every minute with this game. At no point did I turn the console off in frustration not to return back in a week or so and there are not many games I can say that about. 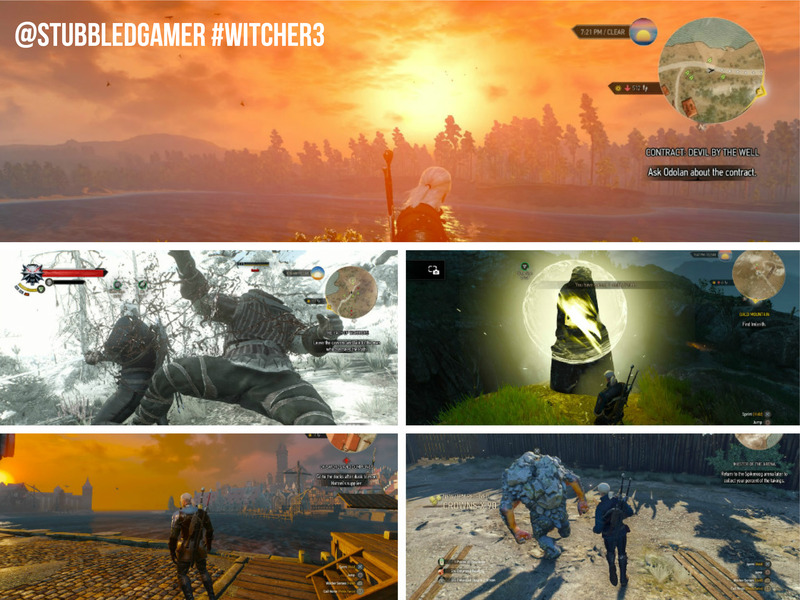 I would recommend that any one who loves a good RPG plays The Witcher 3: The Wild Hunt. Cheers. There was alot I could have talked about but wanted to keep it fairly concise. Glad you liked it.